Let's date again in the robot world! 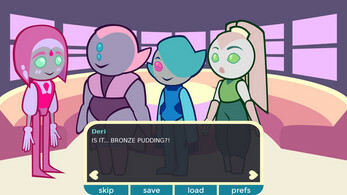 robo-tea:2ndServing!, sequel to robo-tea:1cup!, is a dating sim about polyamorous relationships and communication. 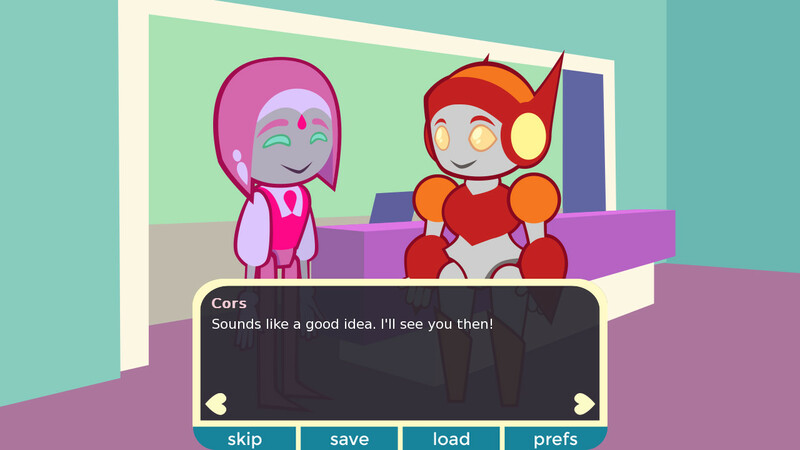 In this game you are Cors, a cute nonbinary bot who works to make sure the all-robot planet Verdande runs smoothly. This time, xe's helping out a special event, and is preparing to meet (and date) xir favourite musicians! Haven't got an idea of how a game like this would go? See the concept here! This is the demo. Feel free to let's play it! Release date: ??? 2018 - due to a lot of stuff going on at work, and a lot of personal lifestuff, I have no clue how fast I'll be able to finish this. thank you everyone for your patience! robo-tea:Misten Minicups! is a mini-game series and can be played before or after the demo to learn more about major characters. robo-tea:1cup! 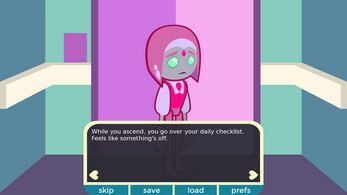 is the first game in the robo-tea! series, and briefly introduces the main character of this game, Cors. I love your series so much and all these robots are so cute! The characters frequently press buttons and use touchscreens and stuff even though they are robots who I'd expect to send such messages over radio. But this could be a deliberate worldbuilding choice if actual robots value their privacy more than we do. 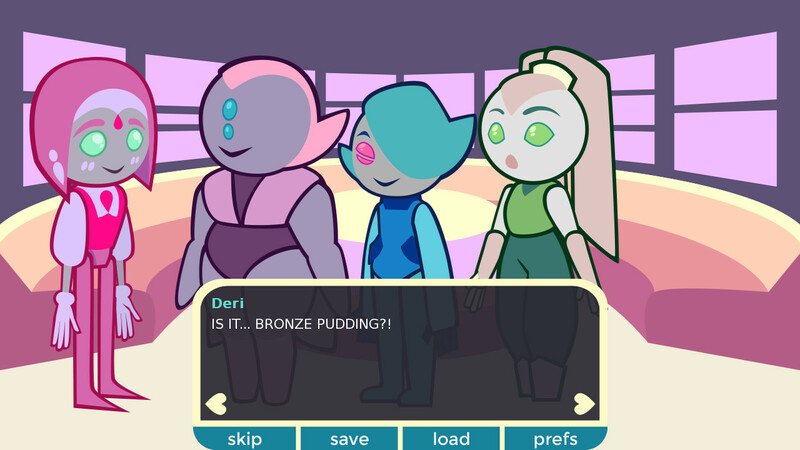 I can't wait to show you the rest of the game's cute dates!